Book Two picks up right where Book One left off. Samuel, Rhoda, and Jacob feel a move is what would be best for their business and their families. Complications follow them everywhere they turn. Can their working and personal relationships survive all of the hits they are taking. Tensions rise as trust is pushed beyond what they thought possible. The author has given us another well written and engaging story. I definitely enjoyed reading this one. The characters are fun and realistic. While there is definitely romance in the story, it isn't the drama free, sweet ending that seems so typical of the Amish fiction I've read. It seemed more real and true to life. Once again, my only complaint is the unresolved ending. I'll just have to wait for the next book to come out. I received this book free of charge from WaterBrook in exchange for my honest review. Check out my review for Book 1. Chirp is a little chick that likes to joke around. Join him and his friends as they tell hilarious jokes and ask funny riddles. If your child enjoys a good joke or tongue twister, than this would be the perfect book for them. Every single page is filled with beautiful photographs or adorable illustrations that will delight children of all ages. All of the pictures are animal or nature related. The subject matter is diverse and ranges from animals and monsters to music and construction. The jokes are clean and child appropriate, but will delight adults as well. The print is larger and the words are approximately at a first grade reading level. It would be a great book to practice newly acquired reading skills. The book is small in size and will fit perfectly in a child's hands. But even the younger children will enjoy having this book read to them. Both my four and six year children loved this book. I received this book free of charge from Children's Lit in exchange for my honest review. Maisy is inviting young child to come and draw with her as she explores the world around her. Each page has colorful drawings and illustrations that help spark a young imagination. Large, simple print on each page explains what Maisy would like the young artist to accomplish. Drawing ears on a rabbit or copying the lines across the page is just a few of the fun things a child will enjoy in the doodle book. Filled with animals, shapes, colors and art that will help a child learn in a fun and creative atmosphere. The instructions are simple enough that the youngest artists will be able to complete the tasks, but creative enough that the older children will have fun putting their own spin on the doodle book. This book is a perfect car companion for long trips or to be used in the classroom to make learning fun. My children are four and six years old and love this book. Dawson is an awesome inventor and collector of junk. He began at an early age to collect things that no one else wanted and turn them into useful toys. His secret hide out is full of the trash he has collected from around the neighborhood. When his mom calls him to begin his chores, he creates a robot that will do the chores for him so he can spend more time inventing. But something goes dreadfully wrong and he must save the town with help from his trusty side-kick, Mooey. It is written and illustrated like a cartoon to help capture the imagination and provide entertainment for further perusal. Each invention is labeled to show what types of trash were used to create the new item. All of the pictures and descriptions help to entertain while subtly teaching about recycling. Children will love the colorful illustrations and the imaginative story line. Both of my children really loved this book. Everyone learns in a slightly different way. There are typically 8 main ways that we each learn. A child's learning style can be used to help them realize their full potential and learn at maximum capacity. The author breaks down each each style and how it applies to the student. The book takes about creating a learning environment, how to support and aide your child's education and teaching them the tools to best fit their learning style. The book was written well and explained very easily. My children are not quite old enough for me to figure out their learning style, but I plan on using this in the future to help with their education. I would recommend this book for teachers or homeschooling parents. But anyone would benefit from learning their learning style better. Emma is too outspoken to be living in the community she was born in. So when the opportunity to escape comes in the form of following her husband as a scout, she takes every advantage to ensure it happens. But wishing to be heard, to be seen, to matter, lead her to a maturity that she didn't see coming. Based on a true story, the author takes literary license with the historical information she found and weaves a story of God and how he fits into our lives as individuals and as a Christian community. The author did such a great job of portraying the stifling restrictions of the community and its somewhat dictatorial leader that I wasn't very fond of the beginning of the book. But once Emma left with her husband, it picked up and I began to enjoy the story more. While definitely a novel, the author did a good job of portraying the characters as real people who live and learn from their mistakes. I appreciated how she wrote about the marriage between Emma and her husband, Christian. It was very authentic. While I ended up enjoying the story in the end, I'm not sure I'll be reading the other books in the series. It just wasn't my style. I have another children's book to give away. I'm going to do things just a little bit differently this time. I reviewed this book and it was just okay for me. But I'm not a little boy. My son thought it was cool. But this is the kid that loves the Captain Underpants books. So. . . to enter the drawing to win this book I want you to leave the name(s) of a book or series that you think is good for a boy to read. My son is into chapter books now, so anything along those lines. I will randomly draw a winner on Monday, April 29th. Also be sure to leave an email address so I can contact you if you win. Comments without email addresses (or some way to contact you) will be deleted. Annalisa has given up any hope for a fairy tale marriage. Her first marriage was horrible. She just hopes that this time around her father will pick a man less mean and abusive. Her German community is hard working and honest. But most of the men believe women are there to provide and support the men. They get very little say in what goes on in their lives. But when Carl appears to help her with the farm until her new husband arrives, he shows her what her world could look like married to a different kind of man. The plot was different from what I typically read and I loved that. The romance was, of course, sweet and well written. But the ideas about equality, forgiveness, and life stations were well presented and thought provoking. The author has a talent for showing instead of just telling you a story. The descriptions place you into the story, where you feel the dirt on your hands and smell the smoke from the fire. I really enjoyed jumping into this story. Eden is a wealthy, educated woman who has sworn off of men forever. She's been burned before and has no desire to repeat that performance. Levi has finished paying for his youthful mistakes and is hoping to start a new life in a new town. Sparks fly as soon as the two meet. But a librarian and a blacksmith are worlds apart. I really enjoyed the story. The two characters were real and fun. The required bad guy was suitably annoying and creepy. The story flowed well and was full of drama, romance, and conflict. It wasn't heavy on theology, but definitely talked about God and His plan of salvation. I loved several of the secondary characters as well. I've read one other book by this author and enjoyed it as well, so will definitely be checking out her other books. John and his red crocodile, Crosley, are ready for another adventure as they try to find out who is framing Crosley. Midnight travels and strange friends are all a part of this crazy midnight adventure. Wildly imaginative, creative and fun are just a few words to describe this book. I can imagine my son absolutely loving this book when he's a little older. But as an adult I found the craziness and intentionally misspelled words a bit over the top. I was also confused quite a few times. But since I haven't read the first book in the series, I wondered how much I was missing and how much was my being a bit too adult. If this book was just for me I would have to say I didn't care for it. But since I'm not the target audience I feel I should give the book a higher rating. 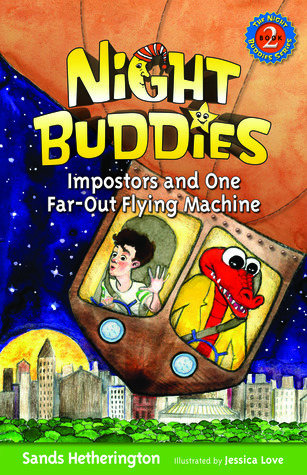 The larger print, funny illustrations, and wild imagery will be devoured by a little boy. I will be keeping the book so my son can check it out when he's a bit older. With the ever increasing cost of groceries and the busyness of life, this book comes in handy. It's size is completely deceiving. Nine chapters touch on everything you need to know about saving money, couponing, making good, nutritious meals for your family, and more. There are recipes for some of the things we buy pre-made such as hummus, Bisquick, or dressing. The information is simple and straight forward. I've been married and trying to budget for years, so most of this was pretty basic for me, but I still learned a few new things. It would be the perfect book to give to someone just starting out in their own place. I received this book free of charge from SJM in exchange for my honest review. John and his wife Amy decided to adopt two girls from Russia to add to their family of boys. Their journey before, during, and after the adoption is told in this realistic look at foreign adoption. The author doesn't sugar coat anything. He deals with emotions, hardships, blessings, and miracles. The two little girls that they initially decided to add to their home soon grew to more as they witnessed first hand the need in the orphanages. It's a true look at the reality of adopting outside your comfort zone. But I felt the author did a great job of showcasing the blessings as well as the difficulties. The style of writing is very clear and concise, but still has an infusion of heart and soul. While the book was probably written primarily to encourage adoption, it can definitely be read by the causal reader. I enjoyed reading this book and feel the author will be very successful in promoting adoption using this method. I received this book free of charge from SS/PR in exchange for my honest review. Grug and his family, the Croods, are a very safe and careful cave family. Life isn’t always fun, but they are alive. When trouble seems to be nearing their cave, they barricade themselves in. Eep, the daughter, has a spirit of adventure and sneaks out of the cave one evening in search of fun. She soon finds a friend to lead them on a wild adventure to safety. The vocabulary is appropriate for the age group specified. But even adults will enjoy reading this fun, fast paced book. Colored pictures in the middle of the book help the reader imagine the characters and anticipate the movie. Without seeing the movie, I can’t judge how closely the book follows the script. But either way, young readers will fall in love with the imagery the author created about the characters. A web address gives the young readers more access to information about the movie and provides activities. Parents will appreciate the message of family and accepting others for who they are. Dave and his father visit a dinosaur museum. As they stop at each exhibit his dad tells him the name of each dinosaur. As they leave Dave sees the dinosaur do something. One winks, one tickles, one eats his burger. So he asks his dad if dinosaurs are dead. Each time his dad assures him that the dinosaurs are dead. But after each exhibit Dave begins to wonder if his dad is right. My children and I really enjoyed this book. The illustrations are simple and visually help to tell the story. The writing is engaging and funny, even as it teaches children dinosaur names and other interesting facts about them. At the base of each exhibit is the name of the dinosaur with a pronunciation guide and the meaning of the name. As a parent, I found this very helpful when trying to read the story. The story ends on a humorous note that my children really enjoyed. The larger size book and creative illustrations help immerse the child into what is happening on each page. Kevin is a little boy who enjoys playing and having fun outside. But one day he trips and falls. He lands on his head and is hurt. His mommy takes him to the hospital to get it checked out. Kevin has to stay in the hospital for a little while. He is a little scared, but soon learns all about staying in the hospital. It isn’t as bad as he feared. It ends with the child happy to be going home and feeling better. The book was written to explain the hospital to a young child who might be afraid of what happens upon arrival. The author did a great job of making the visit seem safe and perhaps even a little fun. The pictures almost tell the story on their own and compliment the writing very well. The book is age appropriate, but my six year old son enjoyed the story when I read it to his younger sister. Oh So Tiny is a very tiny bunny. But his dreams do not match his little body. They are big and colorful dreams. He dreams that he is as big as trees and mountains. Everything in Oh So’s dreams are huge. But Oh So is still very lonely. He searches and searches for a friend, but his dreams are empty of friends. As he wakes up he finds something that is small, but better than his dreams. The illustrations are very imaginative and colorful. Each page is filled with scenes from the character’s dreams. Children will love the creative story and pictures that compliment it. It is a great start to fueling a child’s imagination. The type is large enough and the vocabulary is simple enough that early readers might also be able to read the story themselves. Both of my children loved this story and have asked me to read it to them repeatedly.